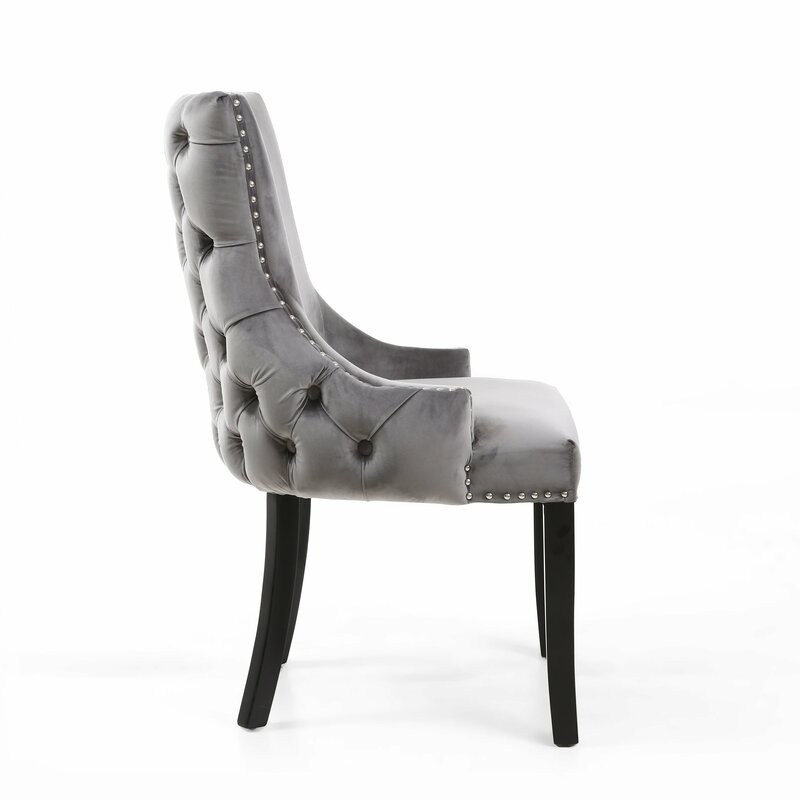 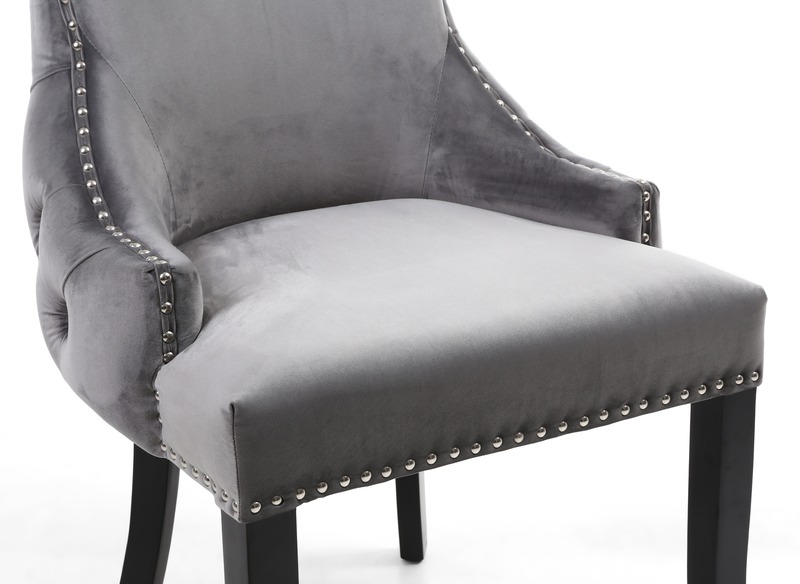 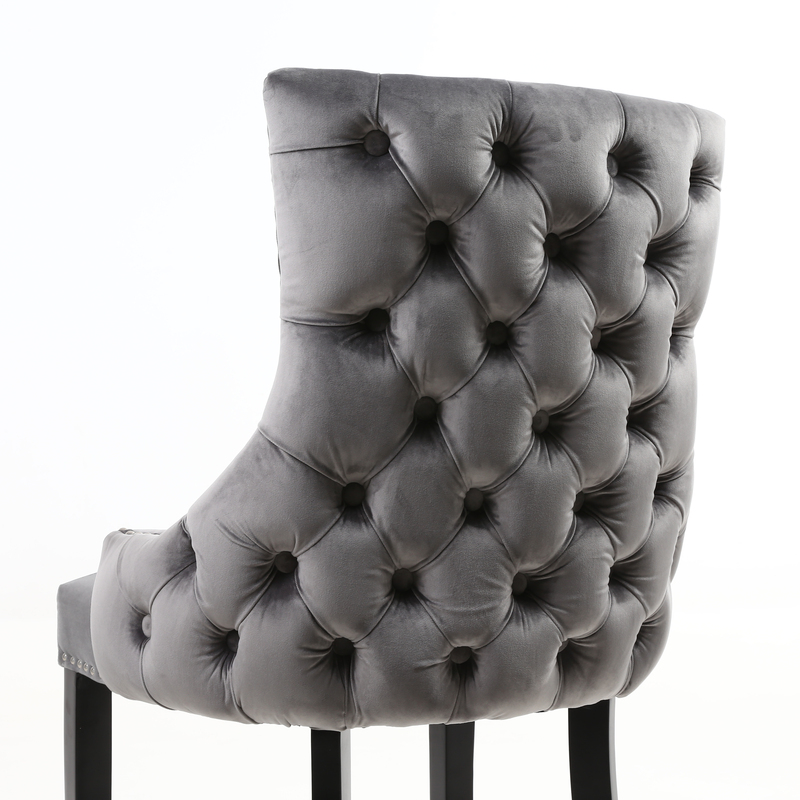 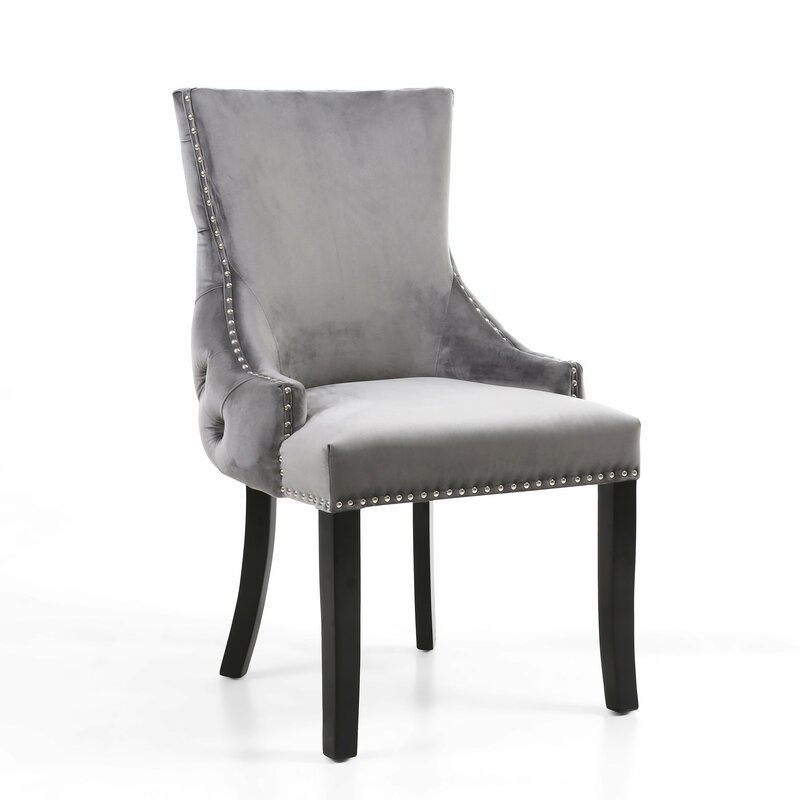 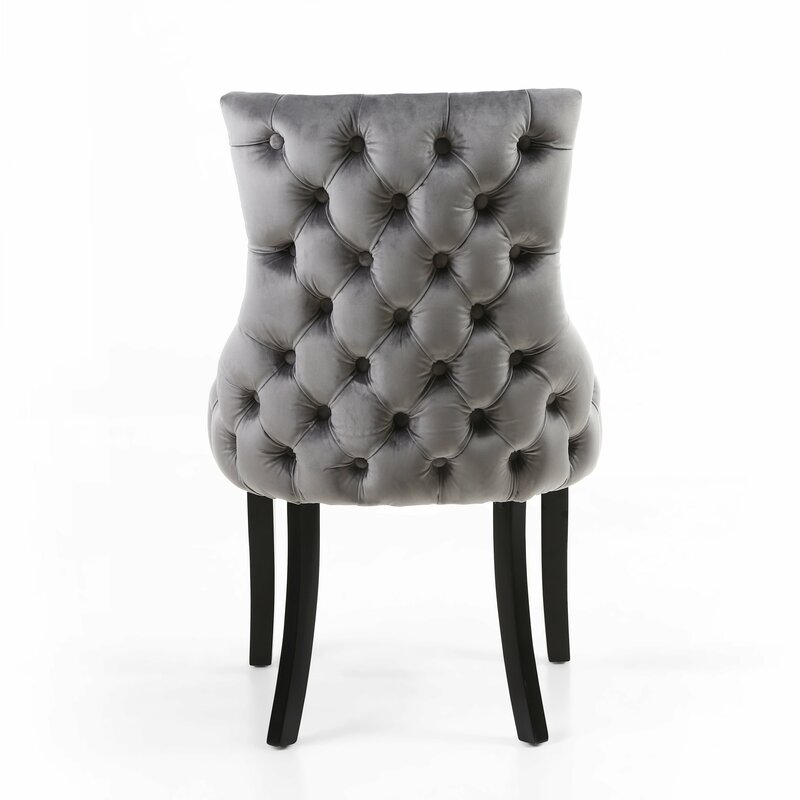 The Brunel buttoned back Grey Brushed Velvet dining chair is a great looking luxury dining chair in a unique wing shaped design with hand laid studded detailing and very attractive buttoned upholstery on the back of the chair. 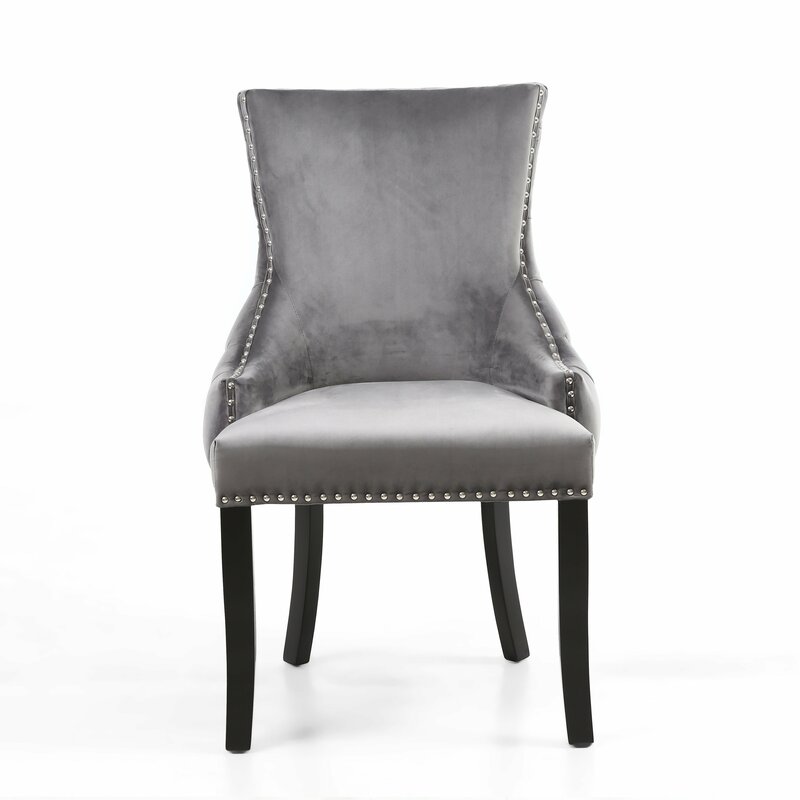 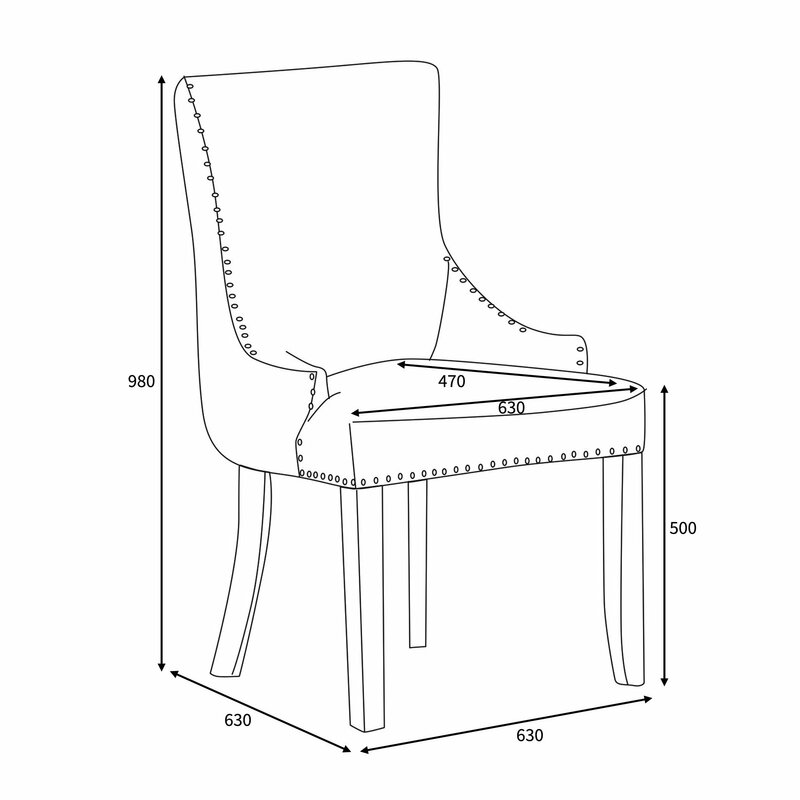 The dining chair is made using thick and durable Brushed velvet upholstery that looks great in a traditional or contemporary setting. 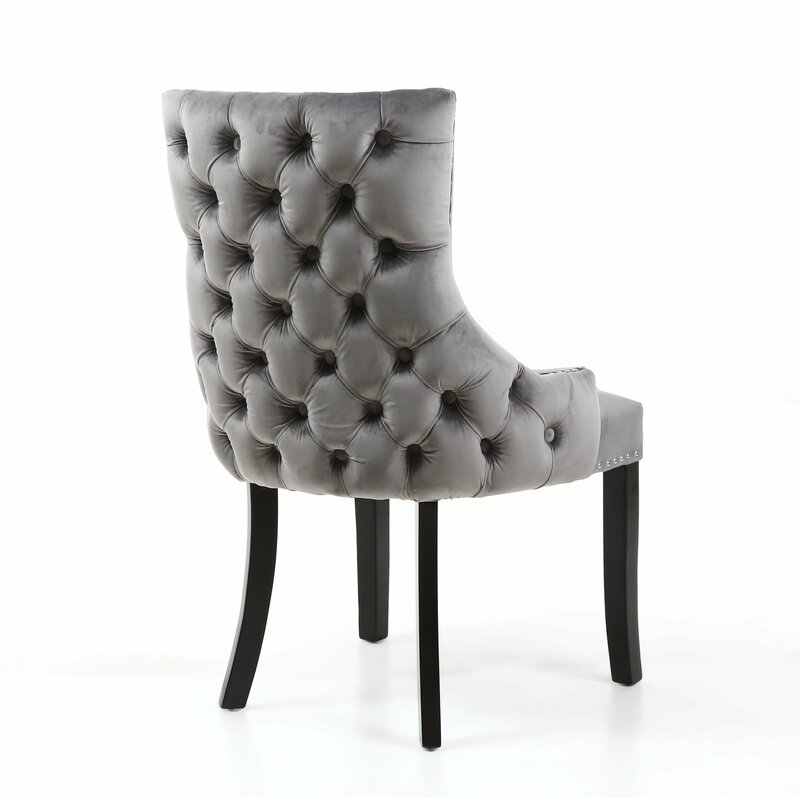 Its solid Timber legs are finished in a neutral Oak colour, and with shaped back leg design complete the sleek and classy look.